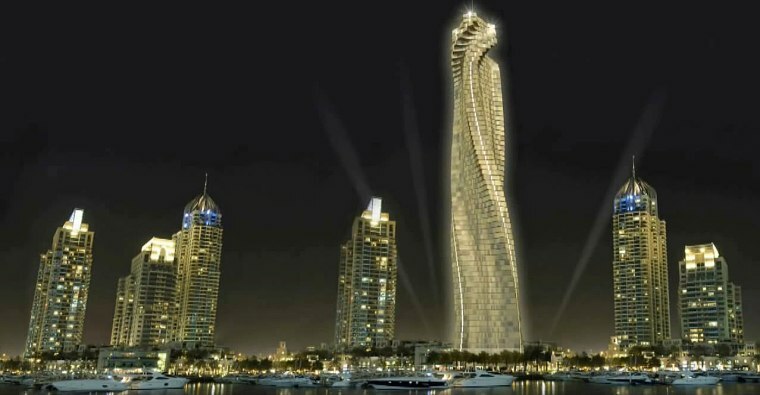 Dubai's planned Dynamic Tower will have 80 floors that are able to swivel independently a full 360 degrees. A new shape-shifting skyscraper to be built in Dubai will offer its residents the ability to do something apartment dwellers have never been able to do: change the view out the window on command. Each of the tower's 80 floors will be able to rotate independently a full 360 degrees — meaning the building’s exterior shape will be constantly changing along with the views from inside. Dubbed Dynamic Tower, the 1,273-foot building could be completed as soon as 2020. It was designed by Italian-Israeli architect David Fisher, who said he was inspired to create this unique building in 2004 as he gazed out at the view from Olympic Tower, a 51-story skyscraper in New York City. "I noticed that from a certain spot you could see the East River and the Hudson River, both sides of Manhattan," Fisher wrote on Dynamic Architecture’s website. "That is when I thought to myself: 'Why don’t we rotate the entire floor? That way, everybody can see both the East River and the Hudson River, as well as Saint Patrick’s Cathedral!'" Dynamic Tower’s ever-morphing shape isn’t the only thing that will set the building apart. The skyscraper will have built-in wind turbines and solar panels, along with an elevator for cars that will allow residents to park their vehicles next to their units, CNN reported. As you might expect, apartments in the building won't come cheap. Individual units could sell for $4 million to $40 million, according to CNN. When completed, the Dynamic Tower will be yet another bragging point for a city that is used to breaking records. Dubai is already home to the world’s tallest building, the 2,717-foot-tall Burj Khalifa, as well as the world’s biggest shopping mall and the world’s biggest indoor theme park.